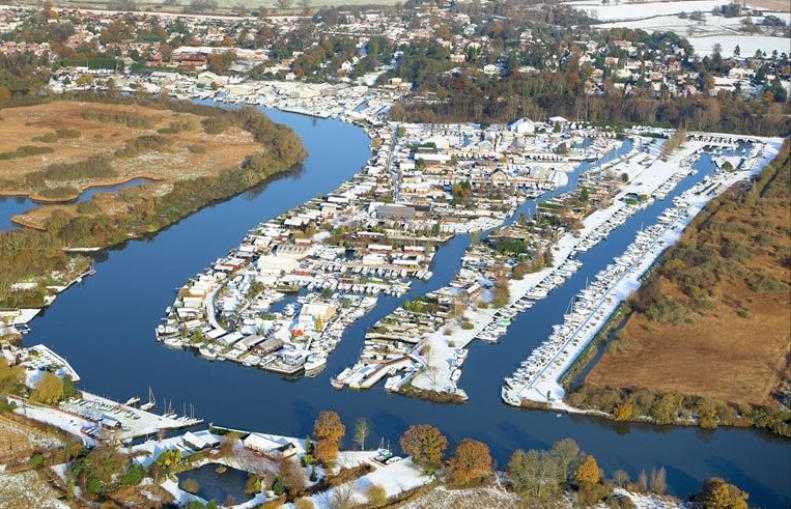 The village of Brundall is the iconic boating village on the Norfolk Broads. There couldn’t be anything more perfect than an idyllic, quaint countryside village situated along the River Yare. This popular boating destination provides visitors with an abundance of options to explore the English countryside and catch a glimpse of the rare wildlife. Brundall also has its own nature reserve at Brundall Church Fen, which is just at the edge of the village. There is no shortage of activities, from fishing to holiday boat hire. If you’re seeking a relaxing break with a hint of adventure, then Brundall is the perfect place for you to visit. This English riverside village does not lack history, character, and charm. As it was the Roman settlers, who founded this riverside village and its history can be traced back nearly 6000 years. The Roman settlers originally named this village Brindisi. The Roman’s took advantage of the riverside location and turned it into a busy boating centre, ironically, it serves the same purpose today. Brundall is home to St Laurence Parish church, which dates back to the 13th Century. This parish church has a fascinating history of its own. The residents of Brundall have made renovations to preserve this building over the years. Although it wasn’t until 1844 that it regained significance with the arrival of the railway. Brundall has two railway stations, including the original 1844 train line. Then in 1891, the railway line merged with the neighbouring village Braydeston. According to the Brundall’s Historical Society, Brundall and Braydeston had issues over the territory lines. Now, visitors can take advantage of Brundall Station and Brundall Gardens, which are both on the Lowestoft Wherry Line and Norwich to Great Yarmouth. 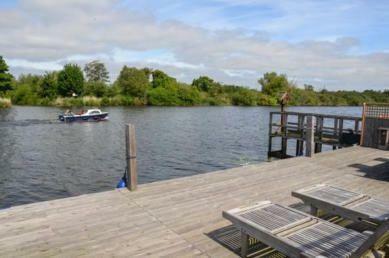 It is ideally situated along the north bank of the River Yare, across from Surlingham Broads. It is approximately 12 miles to Norwich International Airport. Recently, many European visitors, namely Italian history students, visit Brundall to explore the once busy Roman boating hub. Moreover, If you prefer exploring new cities, it is only 9 miles away from the bustling, historic City of Norwich. Although, it is understandable why many tourists who visit here are seeking a countryside break in stunning Brundall Holiday Cottages. This wholesome, quaint village offers an abundance of amenities in the centre, such as two convenience stores, post office, florist, dry cleaners, hardware store, hair dresser, chemist and estate agent. Brundall has many places to eat and drink including The Yare pub, East Hills bistro, Masala Cottage Indian restaurant, Brundall coffee shop, the Ram pub and takeaways including a fish and chip shop, Chinese, Indian and a McDonald’s. Brundall has become a popular destination for boating enthusiasts to explore the waterways. Overall, this scenic English village has multiple options when it comes to exploring, adventure and relaxing. Many visitors gravitate towards this English boating village to enjoy the picturesque landscapes, calming waters, and the rare must-see wildlife. Avid English countryside tourists will notice there is no shortage of unique experiences, not to mention some of the most stunning Brundall holiday cottages, such as Swallowdale which is situated straight on the River Yare. The idyllic village, stunning landscapes, peaceful waters when staying at this beautifully decorated self catering Norfolk holiday cottage will greet visitors. 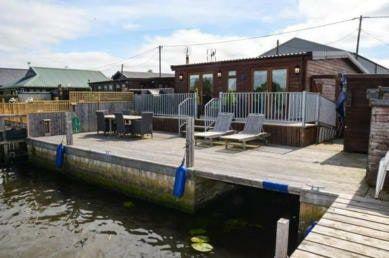 Swallowdale holiday home has its own 27ft private mooring. If you fancy hiring a day boat for your Norfolk fishing holiday there is a boat yard just a short walk down the road.